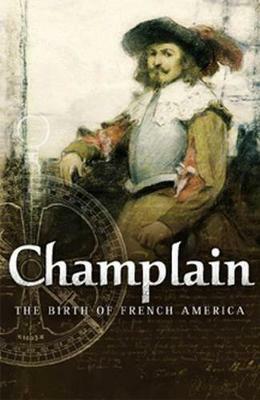 This book is the definitive reference on Champlain and the birth of French America. It discusses not only the beginnings of L'Acadie, its development, and the difficulties of colonization but also looks at France during Champlain's time and analyses how he has been remembered. Lavishly illustrated, Champlain brings together the thirty-two maps attributed to him, reproduced for the first time in colour, as well as illustrations of numerous rare artifacts, documents, and a selection of drawings by Champlain. A tenacious, multitalented individual, Samuel de Champlain was a cartographer, an explorer, and, ultimately, governor of the French colonies in the new world. His extensive writings, largely relating to his voyages, include the only known accounts of the Laurentian colony during the first quarter of the seventeenth century. Contributors include Bernard Allaire, Pauline Arseneault, Bernard Barbiche, Maurice Basque, Alain Beaulieu, Pierre Berthiaume, Gervais Carpin, Jean-Pierre Chrestien, Edward H. Dahl, Dominique Deslandres, John Dickinson, Nathalie Fiquet, Francois-Marc Gagnon, Gaetan Gervais, Laura Giraudo, Jean Glenisson, Jean-Yves Grenon, Patrice Groulx, Conrad E. Heidenreich, Cornelius Jaenen, Robert Larocque, Frank Lestringant, Raymonde Litalien, Nancy Marcotte, Denis Martin, Paul-Louis Martin, Christian Morissonneau, Francois Moureau, Etienne Taillemite, Eric Thierry, Marcel Trudel, and Laurier Turgeon.